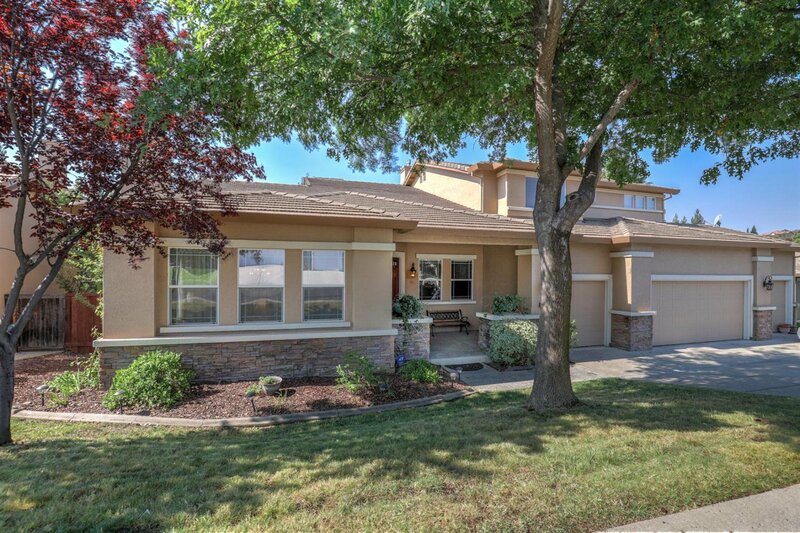 A large family home in prestigious, gated Whitney Oaks, a golf course community. This two story home has both the Master and a secondary bedroom & full bath on the ground floor. The Master Bath is stunning with a recent remodel. Downstairs boasts formal lvg & dining rooms, a bright, cheerful, working kitchen that overlooks the family room and back yard. Upstairs there are three spacious bedrooms plus a giant bonus room/loft. Solar is owned! This home is great for living & entertaining. Listing courtesy of Whitney Oaks Realty. Selling Office: Lyon RE Sierra Oaks.